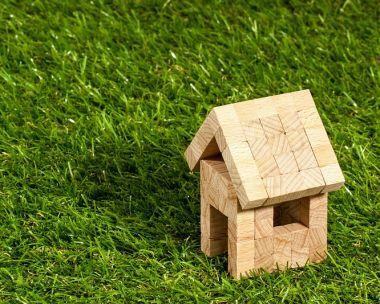 Whether you are looking for a better deal to save you money on your current mortgage, or the current product rate of your mortgage is coming to an end, remortgaging should be one of your options. Although the remortgaging process does require relative effort, with some impartial advice from expert financial advisors, substantial savings are achievable. Here are seven steps that will help make the remortgaging process as valuable as possible. Before you can start to look at remortgaging rates and deals, you need to understand your property’s current value so you can calculate exactly how much you can save by remortgaging. This should be a realistic valuation because when you apply for a mortgage, the lender will send out an independent valuer to confirm this valuation before proceeding with the application. Next, calculate your current mortgage balance, and familiarise yourself with its term and monthly payments. Investigating whether your agreement means you’re liable for an early repayment charges if you change deals now. The simplest way to do this is to contact your mortgage adviser and request a redemption statement. You can also check your mortgage statement or online account. This is something you will have done when first applying for your mortgage, but it’s just as important when you’re remortgaging. Of course, the fact that you’re already paying a mortgage should work to your advantage, as long as you are making all your payments on time. Although there may be other issues with the rest of your credit file so it is worth checking Equifax, Experian and Call credit to ensure that these reports are correct. It is also recommended that you complete a credit check at least two months in advance of applying for your new mortgage to ensure you have enough time to correct any errors, as this could take a while to amend. Make sure you split up your basic salary from your bonuses and overtime, as different lenders will interpret these income streams differently. If you are self-employed, you may have to jump through a few additional hoops, but generally, if you have your last 2 tax returns to hand, this should contain all the information you need. For lenders to be able to make an accurate affordability calculation, you need to give them accurate figures for any financial commitments that you may have. Common outgoings might be loan payments, credit card balances, pension payments, any additional mortgage payments and childcare. Some mortgage lenders won’t take printed internet statements, so if you have become paperless, you may need your contact your bank to request original copies. Preparing these at least a few weeks in advance in case you need to wait for your bank or HM Revenue & Customs to send originals is a good idea. You should make sure you have considered any future plans before remortgaging, particularly any planned moves, home improvements or changes to your financial situation. Ensure that you make your financial advisor and lender aware of these as these may affect your future finances. At IMC, our expert mortgage advisers will review your individual circumstances and tell you whether it is worth remortgaging. If we believe it is worth it, we will have a further discussion around your plans and work with you to find the best deal for you from our wealth of over 1,500 mortgage products. Get in contact today on 020 3553 9340 or email us at info@imcfs.co.uk to find out what remortgaging could do for you.